Jordan Brand united Chris Paul's style of play with the yellow dragon's message in the latest version of his signature shoe. 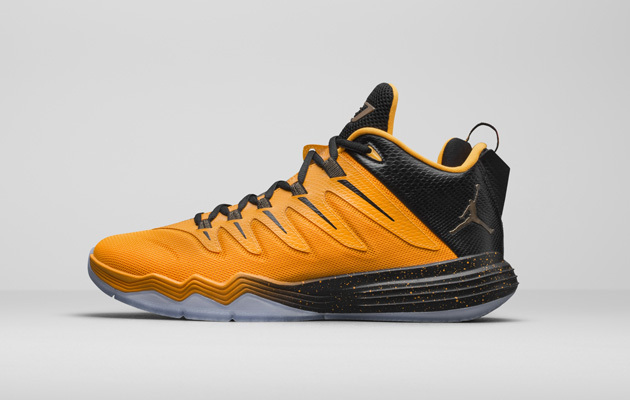 Jordan Brand likes to think Chris Paul’s style of play is akin to a yellow dragon. 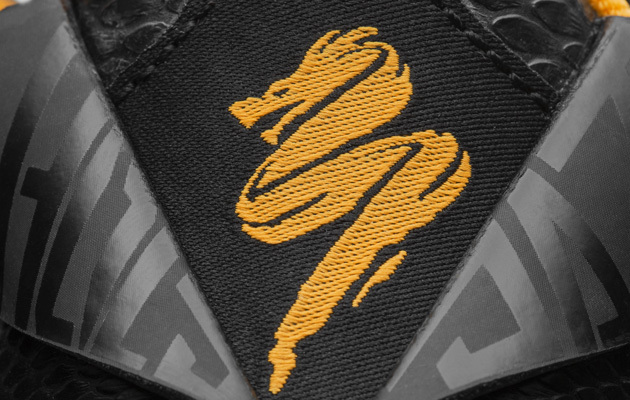 The company's designers believe the dance of this famed Chinese New Year symbol draws parallels to Paul’s speed and quickness on the court, while the yellow dragon is also known for its intelligence. The yellow dragon comes to life as part of Paul’s ninth signature sneaker from Jordan. 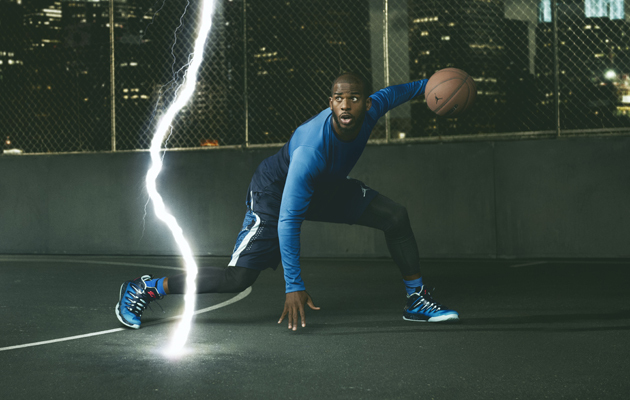 The CP3.IX is another low-top release for the Los Angeles Clippers point guard, this time with a completely new webbing system across the upper to coincide with zoom air cushioning all focused on keeping the foot secure during quick movements. The lacing system combines webbed wrapping over the top of the foot with the laces to better contain the foot for lateral stability. The rest of the upper is made of a composite mesh and foam for lightweight, breathable support, while the inside features a full-length bootie and padded Achilles notch to help reduce slipping, the company says. The low-top style that Paul has played in for years for full range of motion for the ankle comes with a synthetic leather overlay on the heel that features the Jumpman logo. The phylon foam merges with Nike’s Zoom Air for cushioning underfoot. Using a nine-chamber Zoom Air unit, designers looked to get a greater responsiveness and cushion from the front of the shoe to account for Paul's quick cuts on the court. 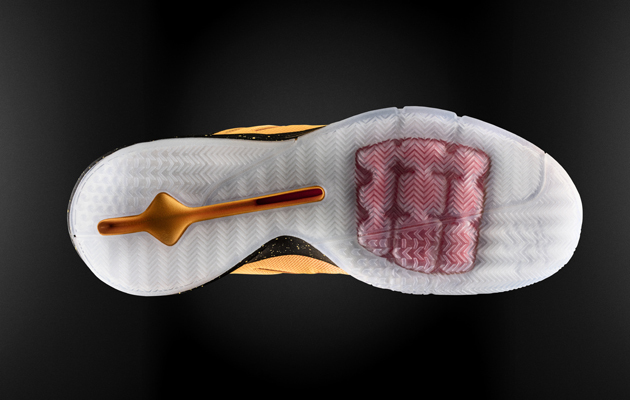 The outsole’s rubber wraps up the side of the foot for added traction during cuts. Plus, the Chinese character for family is inscribed on the outsole’s toe, a nod to Paul and his tight-knit family. 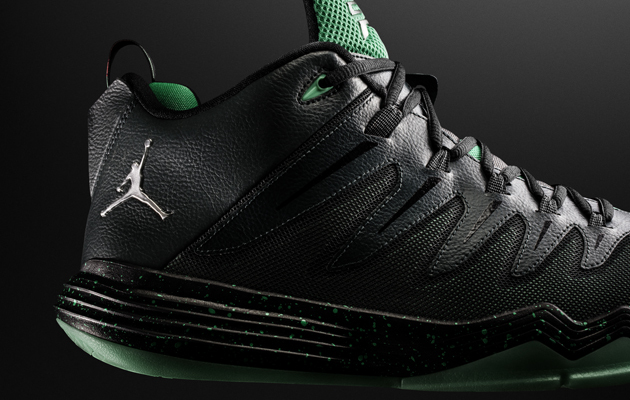 The chevron symbol on the sole—a common theme in the CP3 signature line—continues to honor Paul’s late grandfather. The first two colorways—Emerald and Yellow Dragon—of the CP3.IX launch Oct. 1 in China, while the Emerald colorway also launches in North America the same day. The Yellow Dragon serves as the line’s lead colorway and adds a yellow dragon logo to the rear of the shoe. The Emerald colorway comes heavily in black, with the green serving as an accent. Also expect a largely blue—with black and red—version to soon follow. For now, though, the focus remains on the yellow dragon.